Assessing the movements and habitat use of wide-ranging predators is critical for understanding their role within an ecosystem and vulnerability to anthropogenic threats. The bronze whaler (Carcharhinus brachyurus) is a large-bodied, slow-growing shark species that is widely distributed throughout temperate Australian waters. Currently, habitat use, spatio-temporal presence and fine-scale movement information is unknown for Southern Australian waters. This study investigated the spatio-temporal patterns of occurrence, habitat use, and residency of bronze whalers in Gulf St. Vincent, South Australia. 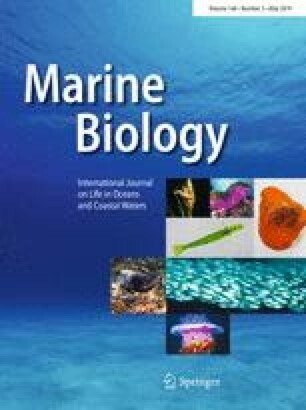 Forty-seven predominately small juvenile bronze whalers (83% of tagged sharks < 150 cm TL) were tagged with acoustic transmitters from 2009 to 2014 and monitored for periods of up to 55 months (range 516–1634 days; mean ± standard error 825 ± 47). The seasonal presence of bronze whalers peaked in spring–early autumn (September–April). Site fidelity was high, with 77% of tagged sharks detected over multiple years and 36% detected over 3 years. Low estimates of mean residency index (Ri = 0.05 ± 0.01) indicated that time spent within the array was limited. Shark occurrence was driven by a combination of factors, which included water temperature, season, moon illumination, and wind speed. Manly–Chesson’s Electivity Index showed bronze whalers exhibited the highest affinity to seagrass (Posidonia spp. ), suggesting that this habitat plays an important role in the early life history stages. The slow growth and low productivity of bronze whalers combined with its predictable nearshore occurrence result in this species having an increased susceptibility to anthropogenic threats, which highlights the need for continued monitoring and vulnerability assessments. The online version of this article ( https://doi.org/10.1007/s00227-019-3500-x) contains supplementary material, which is available to authorized users. The authors would first like to thank the members of the Southern Shark Ecology Group, in particular Matthew Heard, Derek Dapp, Crystal Beckmann, and Lauriane Escalle. We would also like to thank SARDI Aquatic Sciences for their in-kind support with logistics throughout this project, in particular Anthony Fowler, Michael Steer and Simon Goldsworthy. We would especially like to thank, Shea Cameron and Luke Silvester of Flinders University for their assistance with receiver maintenance and The South Australian Royal Life Savers jet boat patrol group for their assistance in receiver maintenance. All applicable international, national and/or institutional guidelines for sampling, care and experimental use of organisms for the study have been followed and all animal handling complied with the animal ethics standards of Flinders University animal ethics guidelines (Ethics approval #E360).